In Brief: While this is Sailor Mars' second Sailor Soldier attack, Raye had been using a version of this attack in her civillian form before she was awakened and met Sailor Moon and Mercury. The attack basically involves Raye throwing an ofuda (anti-evil scroll) at a target and yelling, "Evil Spirits Disperse!". The desired effect would almost always be to freeze the evildoer. Once Raye awoke as Sailor Mars she continued to use the ofuda, but would power up the scroll with her Mars power before throwing it. 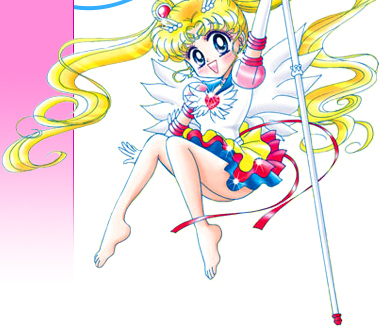 In the live action series the Sailor version of the attack creates several (hundred?) ofuda which are thrown at the enemy and in several cases actually have the ability to destroy the target. Cultural: The chanting Sailor Mars does in the Japanese version, "Rin, pyou, tou, sha, kai, jin, retsu, sai, zen. Akuryou taisan!" is called Kuji-in and is a form of Shinto meditation that is practices by Shinto, Shugendo, Zen and the Ninja. It is also known as "The Nine Finger Cuts". Here are the individual meanings for the Shinto Kuji-in taken from Wikipedia. Check it out for more info. * Pyou:(Also used as Hei) The soldier. * Kai:The all, or the whole effect, or whole effort. * Jin:In Formation, or position in camp or to prepare. * Retsu:To move in column or a row, in a line; or marching, or to focus. * Zai:To appear, or to exist to make yourself known, or create existence. * Zen:To be in front. or show up in front. 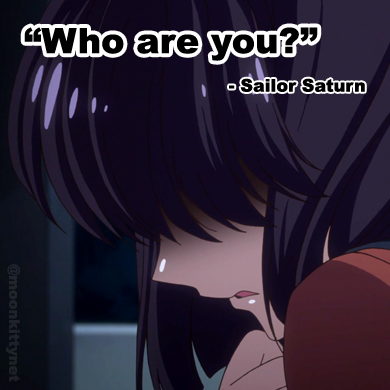 The Attack: For the live action series attack, Sailor Mars begins to make circular motions with her arms as her red gem on her front ribbon begins to glow. Her arm movements begin to speed up and she then brings both of her hands together in an open palm position as flames begin to form there. Suddenly hundreds of ofuda fly out of the fire towards the target.